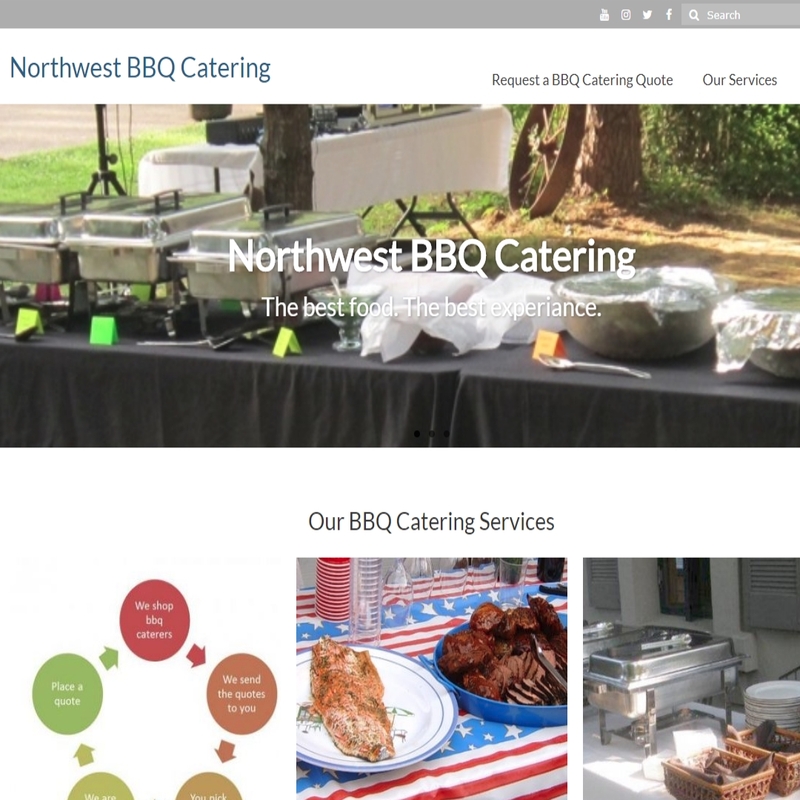 Marketing for caterers in Seattle, Bellevue, Kirkland, Redmond, Issaquah and Bothell. We have helped caterers around the Northwest, helping them market their business is a crowed industry. There’s a ton of money in catering. If you’re smart. Here are some basics EVERY catering company should be doing. There are much more advanced techniques that should be used to get catering business, but if you implement what I have listed below you will be on your way to more catering gigs. Media. The first thing you must to is get media of your product and service. Photo’s and video’s. This media will be used in everything we do to market your catering business. Professional images are great, but really getting media is more important than high quality media. Images can always be changed out. Enable AMP (Accelerated Mobile Pages). This is so your mobile pages get rankings on the mobile search engines. Media. Make sure all of your media is all over the place on your site. Contact form. Make sure you have contact form that asks the right questions. Test the form to make sure you are getting the emails from the form. 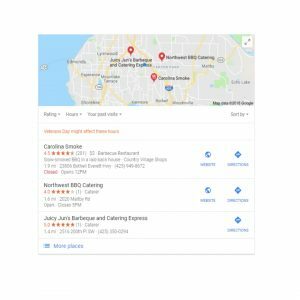 Google and Bing put a ton of search ranking weight on local listings. 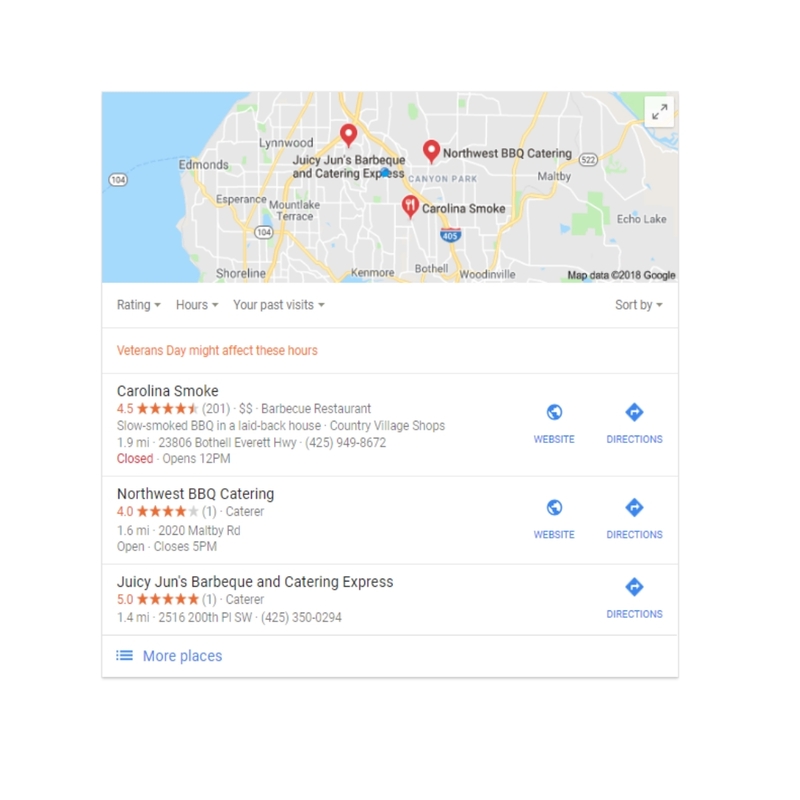 You know, those three business listings that you see when you search for a product or service? Getting on these listings is super important. Get your website link up there, with keywords and content. Note, it takes some time to get that listing update. Also, you will need a physical address for listing. Being on social media is a must. It’s sad, but true. You don’t NEED to “work” the social media platforms, you just need to be ON the platforms… for now. Google will use the backlinks from the social platforms to increase your rankings. So make sure to include links to your website. Instagram. The hottest social platform right now. Make sure you are there, have the correct hashtags. Update the bio with keywords, hastags and links. Facebook. The 800 pound gorilla in the room. Make sure you are there, have your media posted. Post regularly, every week. Twitter. Add your website to the bio, add hashtags and keywords to the bio. Add posts with hastags with the media you collected. Youtube. Get some videos on youtube with keywords and links in the description. Another way to get catering quotes in the door is to partner with an established catering quote service that can provide you with catering quote opportunities in Bellevue, Redmond, Kirkland, Seattle area. This way is a great way to get a base of customers who love your catering service. We work with caterers all the time and would love to have you as a client. We take pride in letting you do what you do best…. CATER… and let us what WE do best, marketing.